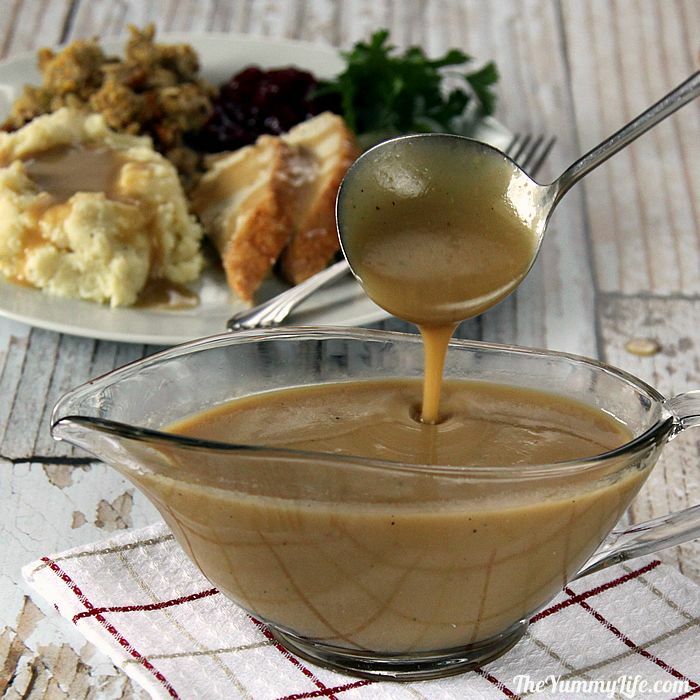 5 Minute Turkey Gravy Phase 3 (or Holiday PI) - Health Hcg Diet Gravy | Hcg Diet Info... Recipes! 1Heat a medium size sauce pan over medium heat. Once warm, melt the ghee, then add the tapioca flour and whisk vigorously until there are no lumps. Cook for 30 seconds. 2Pour in the broth or stock, slowly, while continuing to whisk. 3Cook for 1 to 2 minutes until thickened. Continue to whisk frequently. 4Season with salt and pepper to taste. 5Serve warm on top of meat and vegetables. 6Leftovers will keep refrigerated in an airtight container for up to 5 days.